I am having a lot of fun, my friends over at lustable! 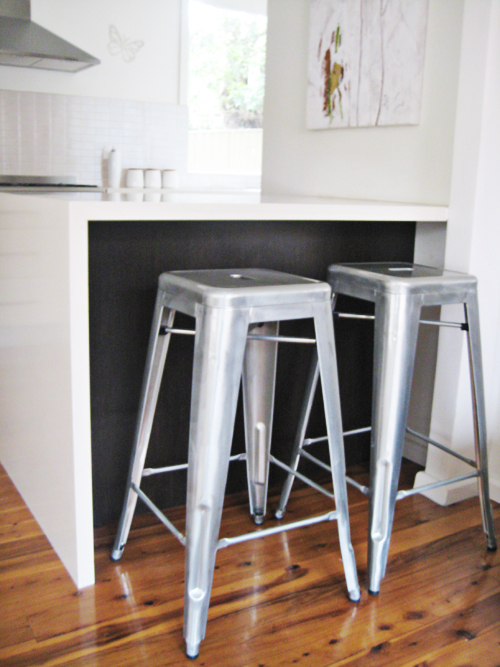 I recently purchased a couple of kitchen stools and I really like the industrial edge they give to the kitchen. Just off to the left of the photo is the wallpapered cabinet so the kitchen still has a girly side to it as well. I have fallen for a pair of high-waisted EmersonMade jeans. These ones are a must have!